One thing to know about the DIY$ household, is that we love to travel and see new places and things. Each year we try to have at least one big trip with the whole family and one trip without kids. 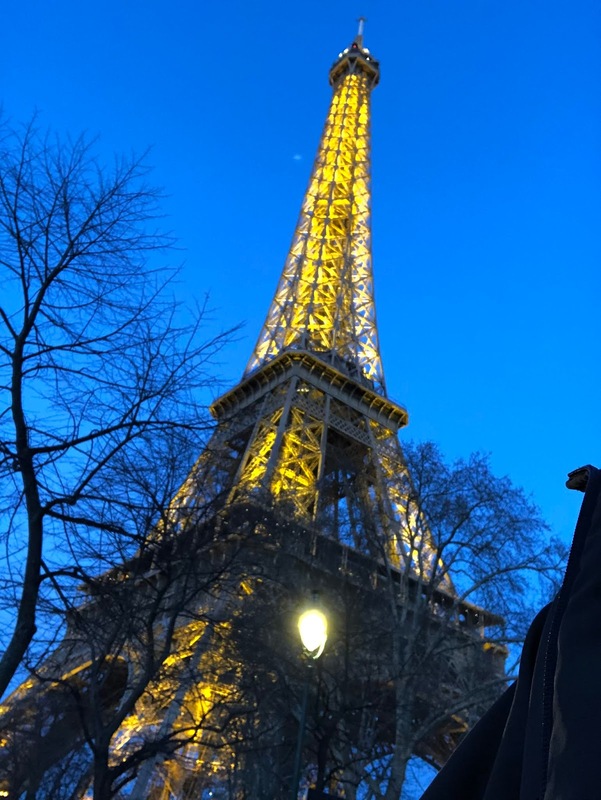 This past month, we were lucky to be able to take a trip without kids to visit Paris. That's right - our trip to Paris was less than $1,000. Obviously one glaring omission is the cost of flights (we didn't swim there). I'm excluding though since we travel-hacked the flights and didn't have any direct cash costs. Were it not for that, our costs for the trip would have been much more (and we may have felt the need to stay longer than the 3 nights we did). The point is though, that traveling abroad really doesn't have to be that expensive. We've spent just as much or more on trips within the U.S. that weren't nearly as memorable. I originally wanted to use Hotel points for this trip, but we had to use the last of our hotel points over Christmas. This ended up being better though since any of the Marriott properties we could have redeemed at had high redemption costs and weren’t located near where we wanted to be. We ended up staying at a hotel we found on Booking.com for the 3 nights we were there. The hotel was only ~$150 per night and was nicer than places I've paid >$200/night for in the U.S.
Our flight landed in the morning and we were able to drop off our things at the hotel before heading out to explore the city. The location was great (1 block from the Louvre, 1 block from bus/train station, and right near several bakeries/restaurants), allowing us to have a home base for days where we needed a break from all the walking. I was surprised to see how little we spent on food, but it’s also not surprising since food isn’t the highlight of a trip for us. It helps that I really enjoy bakeries and street vendor food, both of which are pretty cheap (Nutella Crepes...mmm). We also like trying hole-in-the-wall places that appear popular with locals and even found a really good Indian restaurant. The fancy, expensive restaurants that take 3 hours to eat a meal that doesn’t even sound very good just aren’t my thing so we went with options that were more to our liking. It was nice that I never really thought about what food cost, we just ate what we wanted, when we wanted, and it ended up being pretty cheap. This is the real reason we went to Paris. We love seeing old buildings and art and Paris has a lot of that to offer. On this trip, we paid for admission to pretty much everywhere we could except for going up the Eiffel Tower (the timing didn’t work out and I don’t care for heights) and still only spent $134. In addition to the Eiffel tower, we were able to see Versaille, the Louvre, Sainte Chapelle, Notre Dame, and Palais Garnier. Of all the places we paid to get into the most expensive entry fee was around 20 Euro, which is pretty incredible considering that there are elevator rides in NYC that cost twice that. We packed about as much as we could have in the short time we had, but will definitely have to go back again since we only had time for the main attractions. When we travel internationally, I love being able to use the City Mapper app. Paris has great public transit, and the app helped make sure we didn't take a wrong turn or get on the wrong train. Our most expensive train ride was from the airport, but once we got into the city we were able to walk or take the bus most anywhere we wanted to go. My passport is about to expire and I took a little pride in seeing the customs agent having to search for a blank spot. Some places we've visited in Europe have been over-rated, but Paris I think is fairly-rated. It lives up to the hype and I'm sure we'll be there again. It's worth always remembering that with some careful planning, visiting Europe doesn't have to be all that expensive.